Enjoy the best inspirational, motivational, positive, funny and famous quotes by Alan Borovoy. Use words and picture quotations to push forward and inspire you keep going in life! 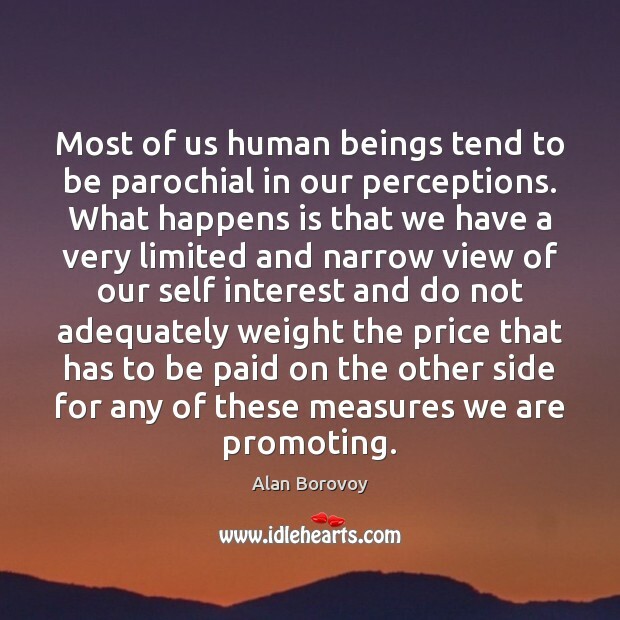 Most of us human beings tend to be parochial in our perceptions. What happens is that we have a very limited and narrow view of our self interest and do not adequately weight the price that has to be paid on the other side for any of these measures we are promoting.